The sixth annual Humber Bridge Soapbox Derby event will be held on Saturday, June 30th 2018 at the Humber Bridge viewing carpark in Hessle. The popular local event sees teams racing their colourful carts of all shapes, sizes and themes down the 450m ramp, in an attempt to take home one of the coveted prizes. Due to popular demand, there will be more entry places available, making it a fantastic corporate team-building activity, or thrilling experience for groups of friends. 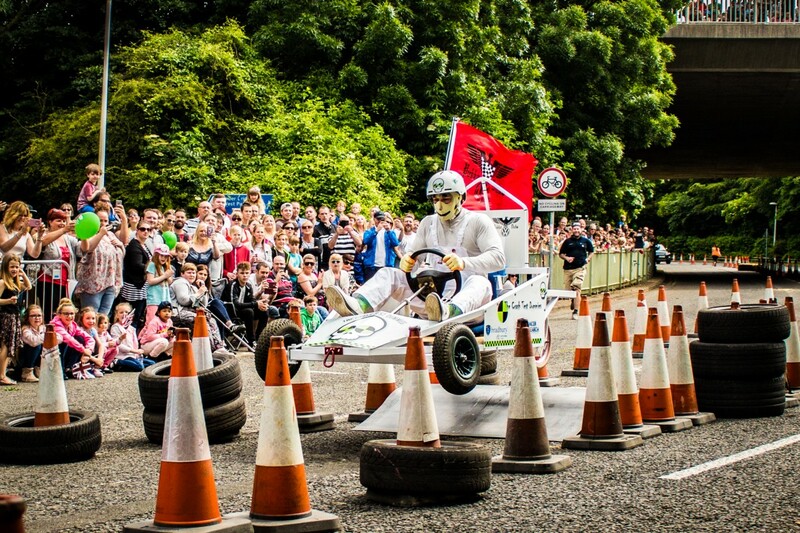 The Humber Bridge Soapbox Derby is run by the Hessle Town Council in association with the Humber Bridge Board and co-ordinated by Smile to maximise charitable impact. Rides, trampolines and refreshments will be added into the mix again to create a great family day out for the teams and spectators. Corporate team entries cost £300 per team and all other entries £100. For more information on entering a team, please email Helen Binnie-Wise: hw@heysmilefoundation.org or visit the Humber Bridge Soapbox Derby website.